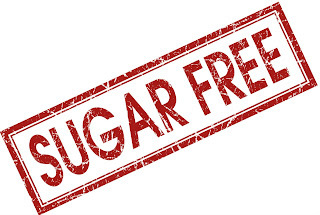 Today very large number of people's have high sugar level problem(Diabetes) and for adding sugar taste they use sugar free products like powder or tablets and mostly diabetic patients think by adding these artificial sweetener products they can control blood sugar level and skip extra consumption of calories.But the big question is sugar free products safe option for diabetic patient? According to some studies and nutritionist these products are artificial sweetener,many people's claim that sugar free products is the best option but one thing may be you know or not? Check the all ingredients on the packing of sugar free product and you find aspartame,sakrin,rebiana,sucrose and these substance is very dangerous for your body.According to some research these chemical treated artificial sweeteners become the reason of blood sugar,stomach infection and some kinds of cancer.So avoid artificial sweeteners do some physical activities for burn extra calories and control your blood sugar level.